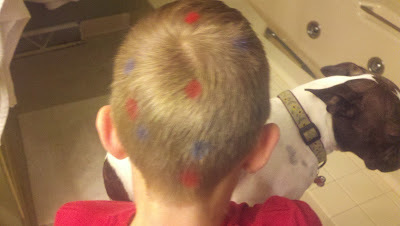 It's Polka Dot day at school today. My boys don't own anything with polka dots (that's good, right???) so we improvised this morning.